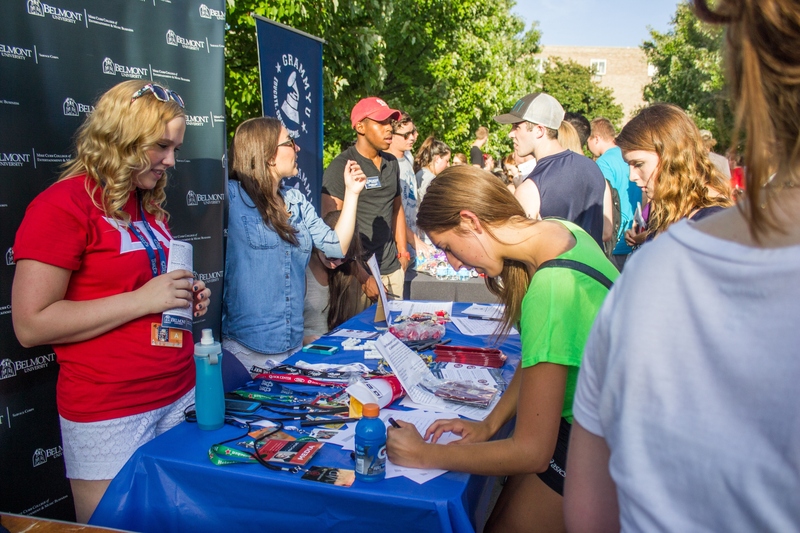 The semester may be winding down, but campus life continues to grow as Belmont recently added eight newly-recognized student organizations. Students interested in starting a new organization must attend one of the Intent to Organize information sessions at the beginning or end of each semester where the formal application process is detailed. Applications are then reviewed by SELD staff and a sub-committee called the Student Life Council. Recommendations are then made to the Director of SELD for approval. Belmont Chapter of the American Music Therapy Association for Students (BAMTAS): To advocate for music therapy, educate students about its principles and provide a professional community for students pursuing board certification. Belmont Student Emergency Response Team: To train members in preparedness and safety for themselves and others on campus in order to use their skills to help educate the public on safety during different situations that may arise on campus, and to ultimately become a first responder for emergency events on campus. National Science Teacher Student Association: To allow members to utilize their intellectual skills to pass along science knowledge to other individuals at Belmont and the greater Nashville community. Omicron Delta Kappa Leadership Honor Society: To recognize individuals who have attained a high standard of leadership in collegiate and community activities, and to encourage them to aspire to higher achievements. UNICEF: To inform the student body of Belmont about the cultures and problems faced by children in countries with limited resources, and to discuss and create solutions to said problems, while encouraging campus involvement through teamwork and meeting participation. 615 Dance Group: To excite and encourage the community through the passion of dance, as well as to allow dancers the freedom to learn new styles, build positive, lifelong relationships and inspire those around them. Hiking Club: To bring hikers and backpackers of all skill ranges together to enjoy outdoor excursions, while establishing community among all faculty and students involved. Longboarding Club: To bring together a community of longboarders to longboard in the local area, attend official events in the widespread area and plan local events. The founders and members of these clubs are passionate students who have big hopes for their organizations, whether it be growing professionally, physically or socially. More information about each organization’s mission and membership process can be found through BruinLink.